She now is the proud Mum of Ray and Rosabelle who were born June 19th 2013 and are the latest addition to my premier show stud. Reta has had 2 more litters since then. One at the latter end of the year and in April, 2014. A son from this litter went to N. Ireland with does to hopefully form a prize winning stud there. 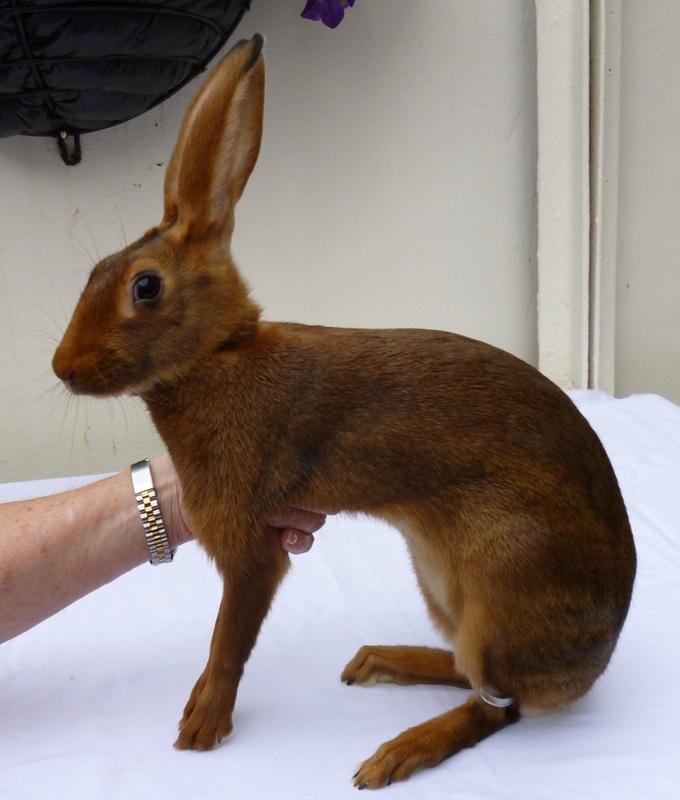 His brother by a later litter just won the Midland British Belgian Hare Show in October. Reta's daughter has just given birth to my first litter of 2015. Four babies born 21st Jan. and they also won at the Gt Yorkshire Show. We were there again 2018 and a First prize for Jimmy and also 3rd Best youngster out of all the Fancy rabbits. and because of their bright chestnut colour. They make good pets, as they are intelligent and friendly. The size of an adult show rabbit should be about 9lbs in weight. Because of their size they need a big cage with plenty of height. There are plenty of good plans for building cages on the web. to keep go into 4 foot cages and they are allowed out to exercise for 15 - 30 mins weather permitting. and my Black & Tan rabbits. I went back to keeping show rabbits which I had left behind as a hobby when I got married. 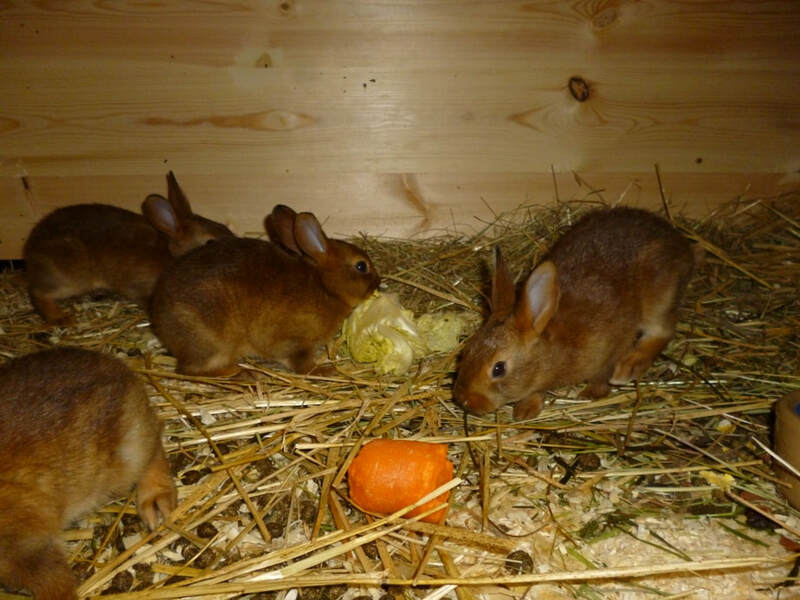 I have kept Miniature Lops, Chocolate Dutch and Belgian Hares. The Belgian Hares are very much my main breed and this website is dedicated to that.